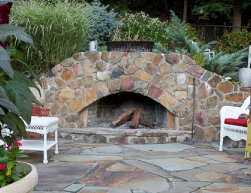 Ten years ago, Carmine Santarella founded his company as a testament to his passion for landscaping and his love for the art of masonry. 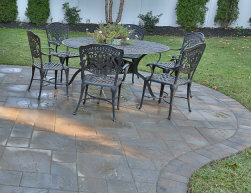 Bestowing over two decades of knowledge and family expertise, Santarella Landscaping and Masonry is devoted to achieving an effortless combination of old world charm and modern elegance. Carmine prides himself on his attentiveness to visual and structural solutions alike. 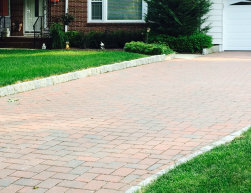 Carmine's talented and innovative team is dedicated to masonry skill and workmanship. 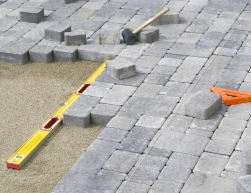 Foremen, Landscape Maintenance Specialists, and Hardscape engineers collaborate in providing the best possible solution for each individual project. Do you need a mason? With each unique pairing of materials and design, our masons create the character that gives your home a voice. We work to enhance, alter, or completely change the feel of your home. From outdoor steps, walkways and driveways to patios and outdoor fireplaces, Santarella's old world craftsmanship will capture the essence of your vision. An array of materials and customized options creates a timeless twist on modern capability. Santarella's landscaping services are equally customizable. Our landscaping and lawn services include everything from pruning and sodding to spring/fall cleanups and mulching. Carmine extends his services to power washing and gutter cleaning as well. Beyond ordinary services, Carmine specializes in landscape design, renovating overgrown and barren landscapes. Whether you want to give your property a face lift or make a few tweaks, we will work with you to develop a design tailor-made to your vision. To get more information, visit our landscaping services page. Santarella offers a complete line of drainage and waterproofing services to keep your home and property dry. Our experienced drainage professionals will walk your property with you to understand the source of your water issues, and then, after careful examination, offer you a full array of services which may include foundation grading and gutter piping to dry wells, rain gardens and French drains. 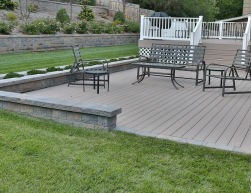 To get more information, visit our yard drainage and basement waterproofing solutions page. Are you saying, "I need a mason and landscaper near me? ", then look no further than Santarella Masonry. If you are looking for a high quality, affordable mason or landscaper, we would love the opportunity to speak with you about your project. 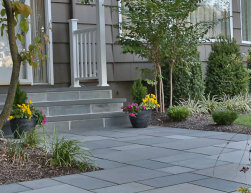 Our knowledgeable masons and landscaping experts will assist you with everything from landscape design and masonry design to tree and shrub selection to hardscapes (patios, front steps, stairs and more) to lawn care and maintenance! We work on both residential and commercial properties and all of our services are affordable. Contact us by phone at 973-564-7820 or email for a FREE evaluation and estimate. All photos appearing on this website are actual masonry projects by Santarella Masonry. Photos taken by Photographer Fred Good. Website design by worldwideRiches, a NJ Web Design and SEO Company.